Our spices are available in small glass jars with dual flapper spice caps – ideal for using in the kitchen. 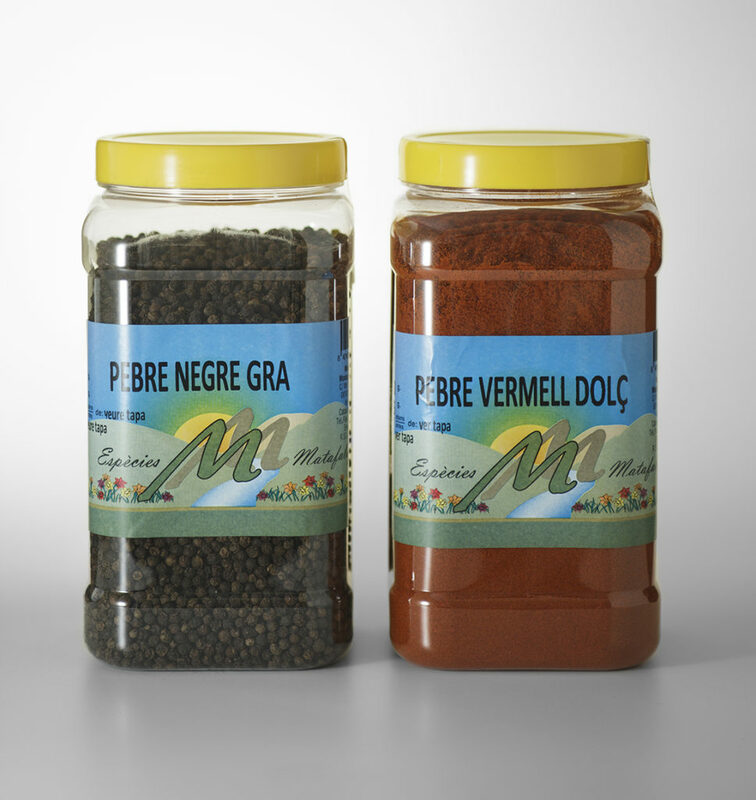 We also offer our spices in 1000cl jars made for catering use. We stock a great variety of spices including: pepper (white, black, green, red), curry powder, garlic powder, aniseed, dried chilli peppers (whole or powdered), cinnamon (stick and powder) sesame seeds, nutmeg, cloves and special condiments for “paella”.